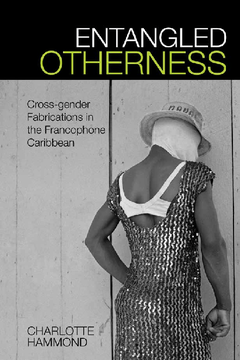 Entangled Otherness explores the dynamics of cross-dressing and gender performance in contemporary francophone Caribbean cultures through a range of visual and textual media. Original in its comparative focus on the islands of Haiti, Martinique, Guadeloupe and their diasporic communities in France, this study reveals how opaque strategies of crossing, mimicry and masquerade have enabled resistance to the racialised, gendered and patriarchal classifications of bodies that characterized Enlightenment thought during the French transatlantic slave trade. It engages with archival texts of pre-revolutionary Haiti to offer a historical understanding of current constructions of Caribbean gender most influenced by French colonial legacies. The author argues that cross-dressing, as a form of ‘self-fabrication’, complicates inherently entangled colonial binaries of identity and resists France’s paternalistic gaze. The book’s multidisciplinary approach to gender analysis weaves a dialogue between cross-cultural voices garnered from textual and historical analysis, ethnographic interviews and theoretical insight to foreground the continued need to decolonize Eurocentric readings of gender identity in the francophone and creolophone islands, and the Caribbean region more generally. Works of art, film, photography, carnival, performance, and dress, including depictions of fluid identities in the binary-resistant Afro-Creole religion of Vodou, are examined using contemporary performance, gender and social theory from within the region. Entangled Otherness thus makes a unique and timely contribution to the growing body of knowledge and debate in the areas of gender, sexuality and the body in Caribbean Studies. Charlotte Hammond is a Leverhulme Early Career Fellow at Cardiff University.